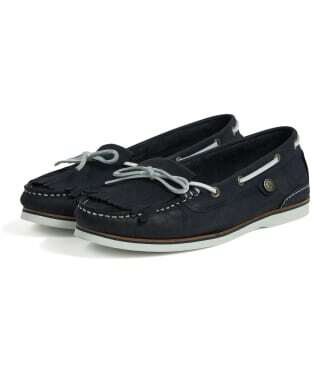 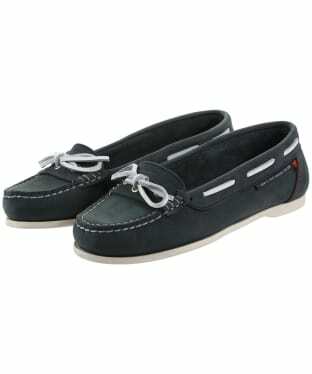 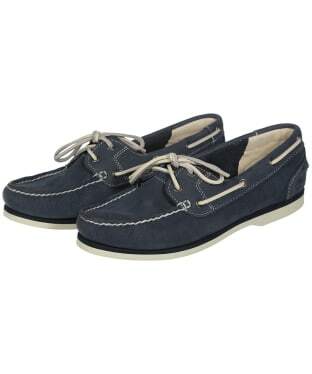 Nothing says summer like a classic boat shoe, and here you can shop our collection of summer ready boat shoes. 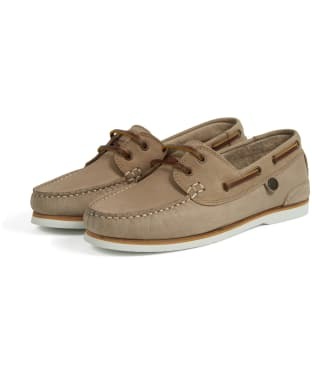 This section is packed full of classic styles from your favourite brands including Dubarry, Barbour and Timberland. 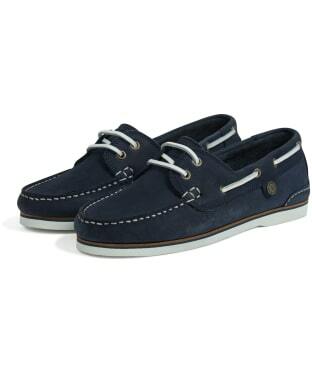 You will be spoilt for choice with these quality boat shoes, with or without the added touch of the beautiful boat shoe tassels, there really is something here to suit everyone! 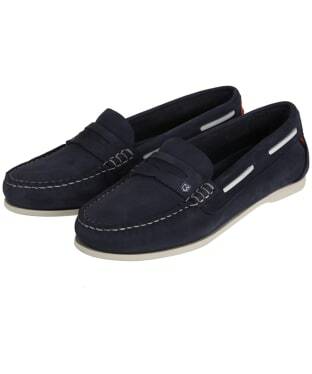 Team with a pair of chinos or shorts to complete your summer look with stylish ease. 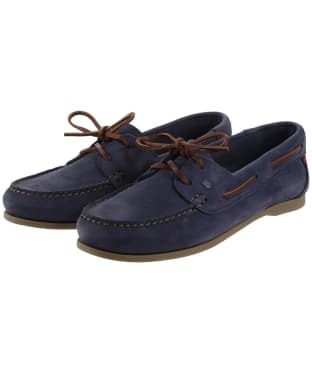 The Women's Barbour Bowline Boat Shoes are hand-stitched with a leather upper detailed with contrast leather laces, stitching and a branded tongue patch for a premium, high quality feel that you are sure to love. 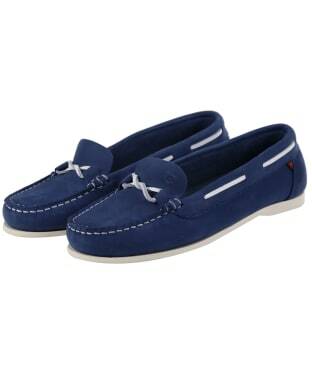 Set on a durable sole for that added touch of practicality, the shoes are sure to keep you comfortable whether you are walking through the town or country. 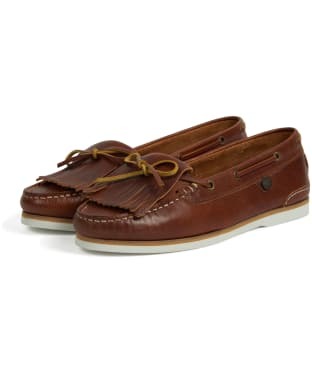 This summer-ready pair is finished with a Barbour Beacon rivet. 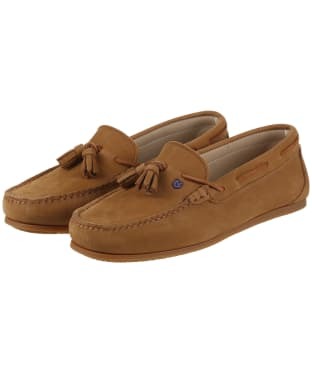 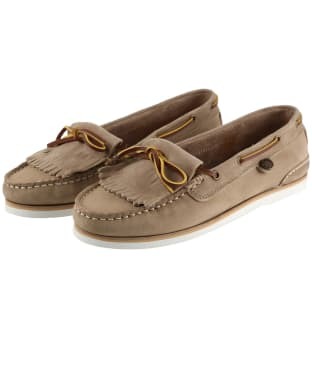 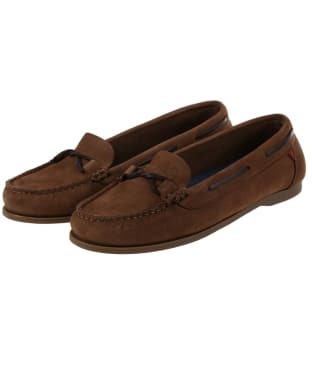 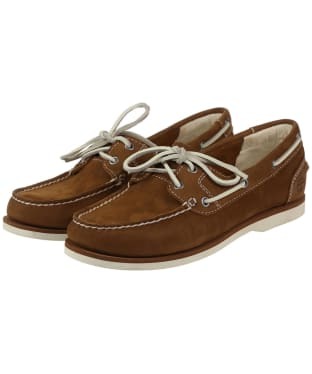 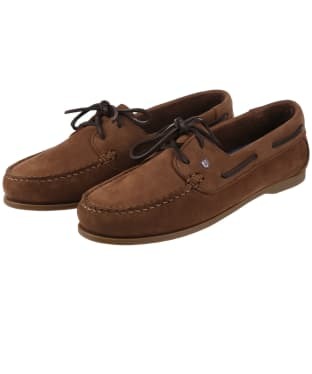 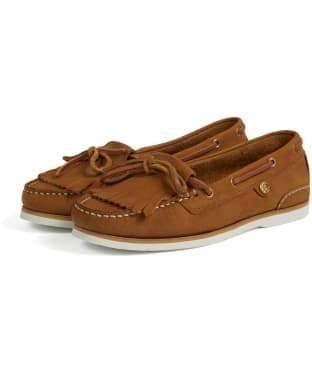 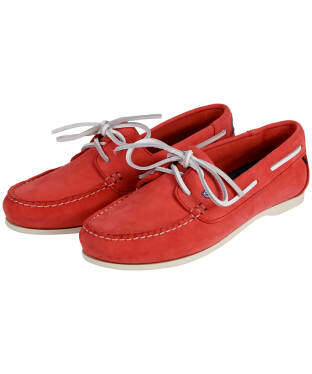 Add a touch of style to your look this summer with the Women's Dubarry Rhodes Boat shoes, offering you a hand sewn moccasin shoe that has been crafted from luxurious Nubuck leather. 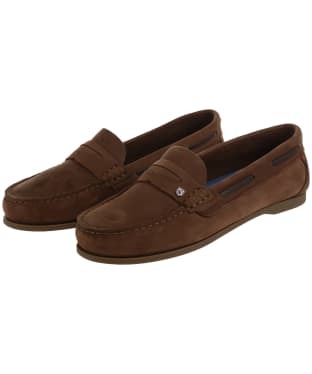 This beautiful Nubuck leather has also been treated to offer you Dubarry's DryFast-DrySoft™ technology to give you added weather protection and a shoe which is built to last! 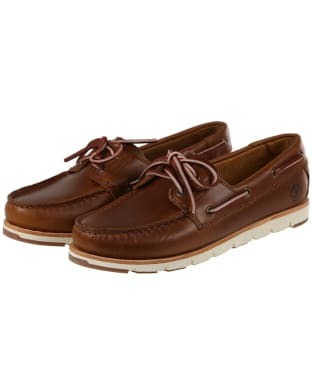 These shoes all feature Dubarry's unique NonSlip-NonMarking™ outsole design, as well as the Full length EVA footbed, covered with full leather sock to offer comfort with every step you take! For an added touch of style and the mark of Dubarry's quality and style these boat shoes have been finished with their signature Port and Starboard flash trim. 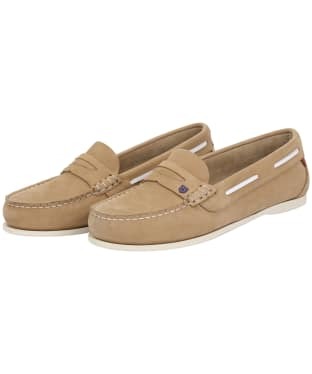 Crafted with style and practicality in mind, the Women's Dubarry hand sewn, slip-on Fiji Deck Shoe is the perfect addition to any stylish ladies wardrobe. 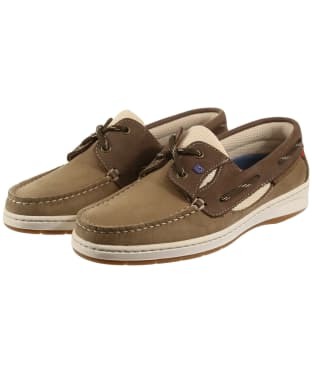 Boasting Dubarry's unique NonSlip-Nonmarking™ outsole design, along with a full-length EVA footbed, covered with full nubuck leather sock, to reduce foot fatigue, you can be sure that the Fiji deck shoes will keep you comfortable and safe all day, whether out at sea or back on shore. 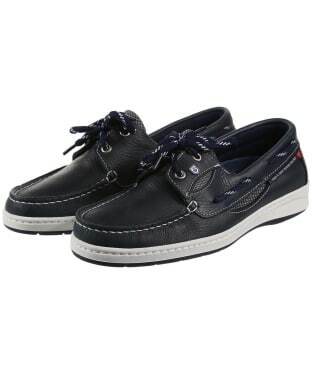 The beautiful leather lace detail on the saddle, adds a nautical fashion forward feel you are sure to love! 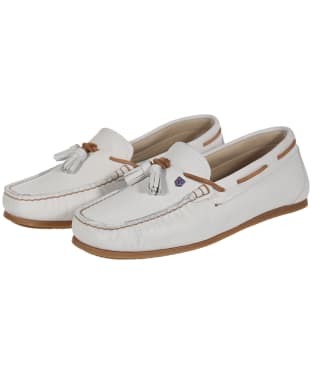 Finished with Dubarry's heritage trim, including signature Port and Starboard flash details, these deck shoes will keep you on-trend through this season and beyond.